One of the biggest risks a property purchaser has is the risk of their home loan being declined. By far the majority of property purchasers need to make use of bank finance. The result is that they need to make their offer subject to their finance being approved within a certain time frame. Sadly this condition weakens their offer, and another buyer who offers to purchase cash, or with a lower bond amount, will often be deemed to be the stronger offer. Banks and mortgage brokers now offer to “pre-qualify” you – but that only gives you an indication of what they are likely to offer you. It’s not a given that you will really obtain the finance. When the actual bond application is submitted after a contract has been concluded, the bank will often come back with a lower bond amount, an interest rate you don’t like, or even a decline – based now on more extensive credit criteria and payment history that is accessed. When bidding at an auction the buyers’ bid has to be unconditional – without the protection of a clause that says the bid is subject to finance. That’s the strength of an auction – so the sale cannot be at the risk of finance. That fact often prevents buyers from bidding – as they cannot be assured of the finance they need. For the first time in recent history, Harcourts Platinum has been able to get 2 national home loan providers to agree to give a full pre-approval to registered bidders. That means a full bond approval indicating the bond amount, interest rate, and conditions. This is a ground-breaking change pioneered by Harcourts Platinum and removes all the risk for an interested bidder. With the certainty of finance the bidder can now bid at auction and know exactly what finance he will obtain, and how much cash he will need. The result is that at such an auction the number of bidders is greatly increased – as it now includes those buyers who previously would not have been able to make an unconditional bid at auction. 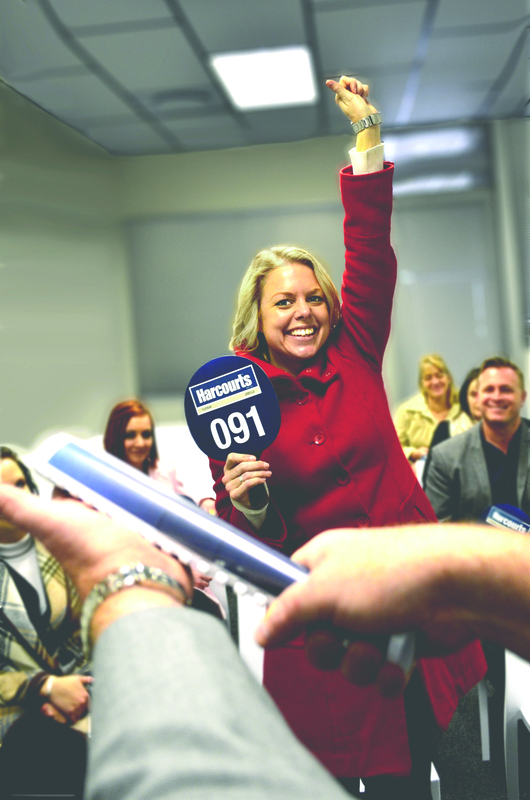 With more qualified buyers now involved there will be greater competition at auction, and the seller can be assured of the best price on the day. There is a further advantage for bidders who register and obtain a full pre-approval: even if they don’t end up purchasing the auction property, the pre-approval can be used to purchase another property, subject only to the bank valuation of that property. This new innovation gives buyers peace of mind when bidding at auction, and beyond. It means that, if they are not successful at the auction, they can still make offers on other properties that are now unconditional – thus making their offer much stronger and allowing them to compete with cash buyers. The pre-approved bond is available only through Harcourts Platinum for buyers who register for Harcourts auctions.